Medication and health care knowledge. Patient care skills. Servant leadership and teamwork. These abilities form the core of every exceptional pharmacist. 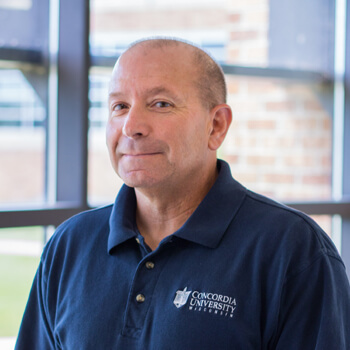 They are the focal areas of your curriculum at the Concordia University. With the education you receive here, you’ll learn how to provide the best care possible. Learn more about the School of Pharmacy. Learn more about our Doctor of Pharmacy. Request more information and we’ll send everything you need - straight to your inbox. We prepare pharmacy practitioners who are dedicated to advancing patient-centered pharmaceutical care in teaching, research, service, and practice in Wisconsin and throughout the country. You’ll work closely with patients and all other health care providers to address the needs of each patient. We are committed to the development of pharmacists and professionals who are servant leaders, dedicated to improving the health of our communities through excellence in teaching, research, service, and practice. We do this through a student-centered approach that provides a world-class clinical and scientific knowledge base, with optimal focus on active applied learning throughout the curriculum. Our accomplished faculty are committed to teaching and mentoring in a welcoming Christian environment that maximizes students’ future success. With more than 99% of our graduates finding a job upon graduation, it is certain that Concordia will prepare you to have an immediate impact in the field of healthcare. Once you graduate from CUW, you will be able to provide exceptional patient care, practicing to the fullest extent of your ability as a pharmacist. You’ll collaborate with other members of the health care team to provide patients with optimal outcomes. And most importantly, you’ll serve as a leader in the profession, dedicating yourself to those who need you most: your future patients. Learn more about the School of Pharmacy here. The Concordia University Wisconsin School of Pharmacy Admission Office is here to help you every step of the way—follow the links below to learn more about the admissions process. Arneson, D., Bobrow, H. & Bickman, L., (2014). Legal Implications for Pharmacy: Regulatory Agencies with Pharmacy Oversight, Legal Requirements for Filling a Prescription and Political Advocacy. Pharmacy Student Survival Guide 3rd Edition. (3rd, pp. 3rd). New York, New York: McGraw Hill Education Medical. Arneson, D. (2013). Professionalism and Ethics. Pharmacy and the US Heath Care System. (4th). (pp. 4th). London: Pharmaceutical Press. Droege, M., Marsh, W. & Arneson, D., (2005). 2004 Florida Pharmacist compensation and Labor Survey Tallahassee, FL : Florida Pharmacy Today. Arneson, D. (2005). Solutions for Compliance with HIIPPA Regulations Drug Topics. Arneson, D. (2018). The Pharmacist’s Perspective and Involvement in Public Health. Oral Presentation. First International Congress of Hospital Pharmacy. Lima Peru. Arneson, D. (2017). Historical Perspective on the Use of Cannabis Medically and Recreationally Throughout the World. Oral Presentation. Norbert Wiener University Faculty of Pharmacy Conference. Lima Peru. Arneson, D. (2017). Development of Clinical Pharmacy in the United States and the Importance of the Professional Pharmaceutical Participation in the Health Care Team. Oral Presentation. 19th Congress of the Pharmaceutical Federation of South America. Lima Peru. Arneson, D. (2017). The Pharmacist Perspective on the Development anduse of Herbal Remedies in the Global Environment . Oral Presentation. Norbert Wiener University Faculty of Pharmacy Conference. Lima Peru. Arneson, D. (2017). Evolution and Overview of the Practice of Pharmacy/Health Care Program Offered at Concordia University. Oral Presentation. Matsuyama Ehime Prefecture, Japan. Dr. Bartelme earned her Pharm.D. from the University of Minnesota-Twin Cities College of Pharmacy (COP) with an emphasis on leadership in 2009. She continued at the COP as a PGY1 resident in a 24-month ambulatory care leadership residency. During residency, she spent half her time teaching at the COP and the other half as an ambulatory care pharmacist. The first year she practiced in a family medicine clinic that had established pharmacy services. In the second year, she developed a new pharmacy practice at another clinic. After residency, Dr. Bartelme took a position as a faculty member at Concordia University School of Pharmacy. She currently teaches in the Applied Patient Care courses, the women's health pharmacotherapy module, and co-coordinates the women's health elective. She is an ambulatory care pharmacist at the Ascension Columbia-St. Mary's Germantown Clinic where she provides anticoagulation monitoring services, diabetes management services, and comprehensive medication reviews. 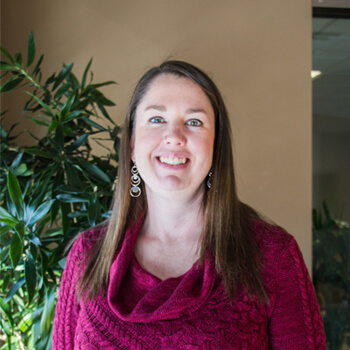 She earned board certification as an Ambulatory Care Pharmacist in 2011. Bartelme, K. & Westberg, S. (2016). Polycystic Ovary Syndrome. Pharmacotherapy Self-Assessment Program. 2016 (3, pp. 3). Lenexa, KS: American College of Clinical Pharmacy. Bartelme, K., LaDisa, A. & Bellone, J., (2017). Achievement of Learning Objectives for an Innovative Patient Interview Activity in a Women’s Health Elective. Poster. ACCP Annual Meeting 2017. Pheonix, AZ. Bartelme, K., Schullo-Feulner, A., Brown, M. & Janke, K., (2017). Practicing Patient Care: Documentation is BORING. Course and Curricular Level Innovations That Move Beyond the "Practice Makes Perfect" Approach. Oral Presentation. AACP Annual Meeting 2017. Nashville, TN. Bartelme, K. (2016). The Women’s Health PRN Members and Accomplishments. Poster. ACCP Annual Meeting 2016. Hollywood, FL. Bellone, J., Ray, S. & Bartelme, K., (2016). Retention of students’ ability to incorporate a computer into simulated patient encounters. Poster. AACP Annual Meeting. Anaheim, California. Bartelme, K. (2015). Self-Care for Common Concerns in Pregnancy. Oral Presentation. Global Conference on Clinical Pharmacy 2016. San Francisco, CA. Dr. Bichler did her undergraduate work at Carroll College, a private institution similar to CUW, and majored in chemistry with minors in biology and German. She then completed her Ph.D. in bioorganic chemisry at Northwestern University and has been teaching chemistry ever since. Many years ago I felt a calling into the profession of pharmacy. Over the ensuing decades that calling has taking me down a road of clinical toxicology, administration, service and now teaching. Today my focus is on sharing with the practitioners of tomorrow the world of clinical toxicology and pharmacology. In addition I am blessed with the ability to be part of the toxicology service at the Wisconsin Poison Center. Plus I touch community pharmacy by working as a relief pharmacist. Feldman, R., Stanton, M., Borys, D., Gummin, D. & Kostic, M., (2019). Bromethalin Rodenticide Exposures Reported to US Poison Centers Philadelphia, PA: Clinical Toxicology . Teijido, J., Kempf, D., Borys, D. & Zosel, A., A review of lacosamide exposures as reported to U. S. poison centers Philadelphia, PA: The Annals of Pharmacotherapy. Stanton, M. & Borys, D. Outcomes of Amiodarone Exposures Reported to US Poison Centers Chicago, IL : 2018 North American Congress of Clinical Toxicology . Borys, D., Ryan , K. & Schabold, J., (2017). Hot Tox: one center’s experience with drug-induced hyperthermia 55 (7, pp. 7). Philadelphia, PA: Clinical Toxicology, 55:7, 689-868,. Ng, P., Bebarta, V., Borys, D., Sessions, D. & Maddry , J., (2017). Using Pill Identification Calls to Poison Centers as a Marker of Drug Abuse In Three Texas Military Bases 110 (11, pp. 11). Birmingham, AL: Southern Medical Journal . Stoehr, N., Biesboer, A. & Borys, D., (2016). Discussing the intersection of Christian faith and healthcare through an elective course, Faith and Health Professions. Oral Presentation. Association of Lutheran College Faculties Conference Meeting 2016. Mequon, WI. Using poison center data to better the care of the poisoned patient. The practice of clinical toxicology. Helping others to appreciate how faith and spirituality impact Health and medical care. 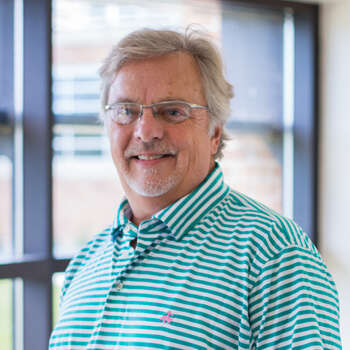 Dr. Mike Brown teaches medical literature evaluation and pharmacy calculations. 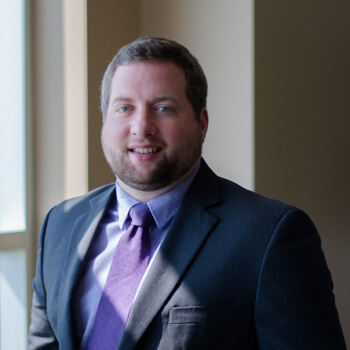 He is privileged to help students navigate the Doctor of Pharmacy curriculum, developing the knowledge, skills, and attitudes expected of patient-centered pharmacists. Kosinski, T., Brown, M. & Kosinski, T., (2018). Relationship between syringe size and dosing accuracy 22 (1, pp. 1). Edmond, OK: International Journal of Pharmaceutical Compounding. Nguyen, B., Olson, N., Traynor, A. & Brown, M., (2017). Implementation and Preliminary Results of a Comprehensive Medication Management Service for People Living with HIV. N/A. Madison, WI: Pharmacy Society of Wisconsin. Peppard, S., Parks, A., Biesboer, A. & Brown, M., (2017). Characterization of Inpatient Pharmacist Practice in Wisconsin 20 (1, pp. 1). Madison: The Journal. 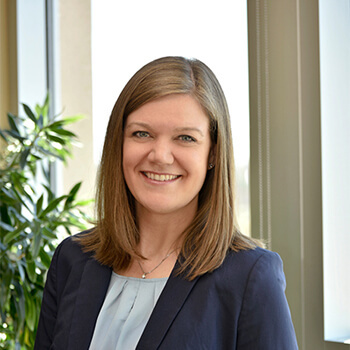 Dr. Bryant received her Doctor of Pharmacy degree from Concordia University Wisconsin in 2014 after completing pre-pharmacy coursework at the University of Wisconsin – Madison. She completed post-graduate residency training at Aurora Health Care in Milwaukee, WI (2015). After residency, she has practiced as an inpatient clinical pharmacist in acute care and the emergency department. She has been a faculty member at Concordia University School of pharmacy since 2017. 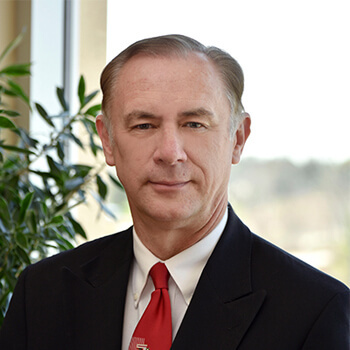 Dr. Bryant currently practices on an acute care/post-surgical GI/GU unit at Aurora St. Luke’s medical center. 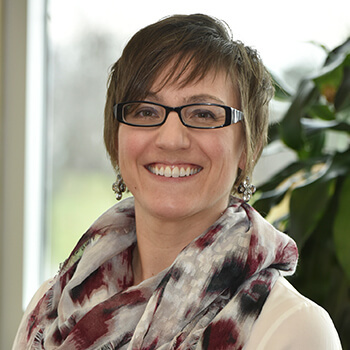 At CUWSOP, she coordinates a course in the Introductory Pharmacy Practice Experience (IPPE) series which focuses on career planning and preparation. 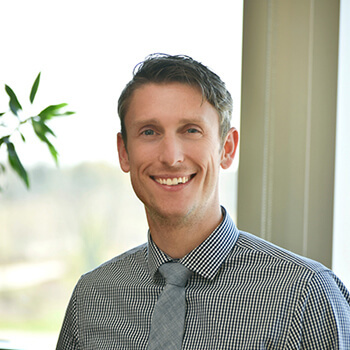 Dr. Bryant is a co-coordinator of the residency area of emphasis program, and also teaches pharmacotherapy content in the GI unit, in addition to being heavily involved in the second year Applied Patient Care series courses. Bryant, E., Kroll, D. & Lokken, J., (2018). To Infinity... and Beyond! Pearls for Launching a Successful Career as a New Pharmacy Preceptor 22 (4, pp. 4). Madison, WI: J Pharm Soc Wis.
Bryant, E. & Persells, D. (2018). Utilizing the Electronic Health Record for Antimicrobial Stewardship. Oral Presentation. University of Wisconsin Clinical Conference - Updates in Infectious Diseases. Middleton, WI. Beth Buckley teaches classes in each year of the professional curriculum where she teaches communication skills and diabetes pharmacotherapy. Her teaching and research focus is on optimizing care of patients with diabetes and the inclusion of mindfulness for provider and patient centered care. Her clinical practice is within a family medicine clinic where she works via collaborative practice agreement to provide medication therapy management to patients with chronic diseases such as diabetes. Buckley, E. & Glogovsky, S. (2019). Necrotizing Fasciitis and Sodium Glucose Cotransporter-2 Inhibitors: Review of the Risks and Benefits 22 (1, pp. 1). Madison, WI: The Journal of the Pharmacy Society of Wisconsin. Buckley, . & Pang, B. (2018). New Onset Type 2 Diabetes Care in a complex patient: The continuum of care from inpatient to self-management. 6 (5). (pp. 5). Madison, WI: AADE in Practice. DeJongh, B., Lemoine, N., Buckley, E. & Traynor, L., (2018). Student preparation time for traditional lecture versus team based learning in a pharmacotherapy course 10 (3, pp. 3). Currents in Pharmacy Teaching and Learning. Buckley, E. (2015). 2015 Update: Current Guideline Recommendations for the ABCs of Diabetes. Nov/Dec 2015 Madison, WI: Journal of Pharmacy Society of Wisconsin. Buckley, E. & Nitschke, S. (2018). Introduction to Mindfulness and Resiliency to Enhance Student and Faculty Wellness. . Oral Presentation. CUW DPP Faculty Development Workshop. Mequon, WI . DeJongh, B., Lemoine, N., Buckley, E. & Traynor, L., (2016). Student Preparation Time for Traditional Lecture versus Team Based Learning in a Pharmacotherapy Course. Poster. American Association of Colleges of Pharmacy Annual Meeting 2016. Anaheim, CA. Buckley, E., Albano, C. & Cooper, L., (2016). Novel cultural competency activities integrated across curricular departments and courses. . Poster. American Association of Colleges of Pharmacy Annual Meeting, July 2016. Anaheim, CA. Buckley, E. (2016). Multi-Sensory Experience and Role Play to Enhance Memory Retention of Diabetes Drug Therapy . Oral Presentation. Faculty Lunch 'n Learn: CITG Award Recipient Presentations. Mequon, WI. Buckley, E. & Kabara, P. (2015). Successful Interprofessional Experience: Partnering PharmD and PA Students for Diabetes Care. Poster. CUW School of Pharmacy Poster Fair. CUW . 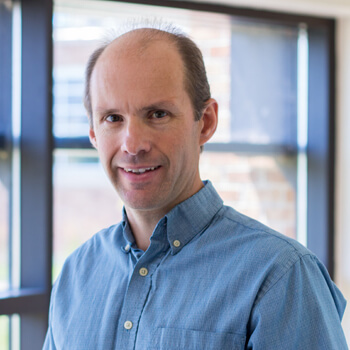 Robert Burlage is a microbiologist and molecular biologist with an interest in gene regulation in bacteria. He is the chair of the Pharmaceutical and Administrative Sciences Department. Cottonaro II, M., Albano, C., Arneson, D. & Burlage, R., (2016). Comparison of doctorate of pharmacy dual degrees and pharmacy residencies utilizing ecnomic data. Poster. American Society of Health Care Systems 2016 Midyear Meeting . Las Vegas, Neveda. Arneson, D., Burlage, R. & Albano, C., (2015). Development of a Public Health Pharmacy Undergraduate Program. Poster. 2015 AACP Annual Meeting . National Harbor, Maryland. Our research focuses on the design, synthesis and characterization of analgesics and anti-addiction agents. Students who work in our laboratory are exposed to the drug design and discovery process, including new synthetic techniques and novel probe development. 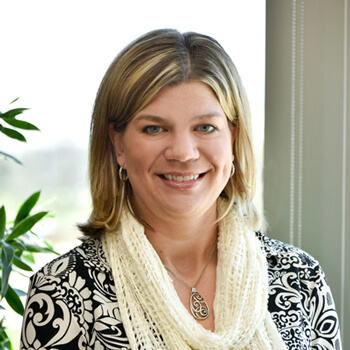 Beth DeJongh, PharmD, BCPS, BCPP is a graduate of the University of Minnesota College of Pharmacy. 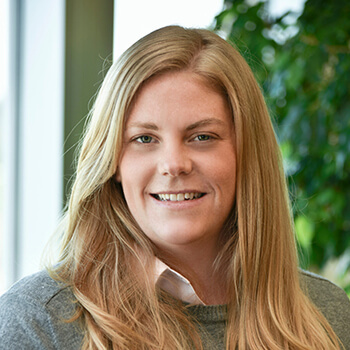 She completed a PGY-1 Behavioral Health Pharmacy Residency at the University of Minnesota Medical Center, Fairview in Minneapolis, MN and a PGY-2 Cardiology Pharmacy Residency at the West Palm Beach Veterans Affairs (VA) Medical Center in Florida. Her teaching focus includes coordination of a pharmacotherapy course that includes the mental health and neurology units as well as coordination of a mental health elective. 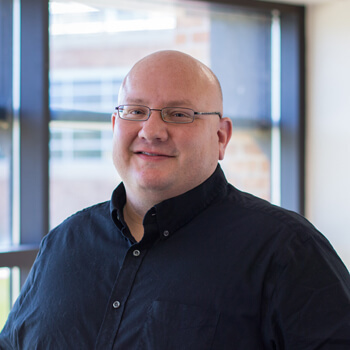 Dr. DeJongh also teaches in the Applied Patient Care Labs and works with pharmacy residents in the Milwaukee area to help develop their teaching skills. Her practice site is at the Clement J. Zablocki VA Medical Center where she runs a metabolic syndrome monitoring clinic and a clozapine clinic in outpatient mental health. Dr. DeJongh stays active in the mental health field by serving on committees in the College of Psychiatric and Neurologic Pharmacists, participating in an interdisciplinary mental health court, and providing education on psychotropic medications to police officers through Crisis Intervention Trainings. Maryan, S., Harms, M., McAllister, E. & DeJongh, B., (2019). Comparison of clozapine monitoring and adverse event management in a psychiatrist-only and a clinical pharmacist-psychiatrist collaborative clinic 9 (2, pp. 2). The Mental Health Clinician. DeJongh, B. & Oldani, M. (2018). Case reports of interprofessional care for clients enrolled in a mental health court 8 (6, pp. 6). The Mental Health Clinician. Pena, A., DeJongh, B., Haas, M. & Bury, M., (2018). Overcoming barriers to monitoring patients taking second generation antipsychotics 8 (2, pp. 2). The Mental Health Clinician. Harms, M., Haas, M., Larew, J. & DeJongh, B., (2017). Impact of a mental health clinical pharmacist on a primary care mental health integration team. 7 (3, pp. 3). The Mental Health Clinician. DeJongh, B. & (2017). Long Acting Injectable Antipsychotics. Lecture. Pharmacy Society of Wisconsin 2017 Annual Meeting. Milwaukee, WI. DeJongh, B. (2016). Morgellons Disease – Delusional Parasitosis or Unexplained Dermopathy?. Lecture. College of Psychiatric and Neurologic Pharmacists Annual Meeting. Colorado Springs, CO.
DeJongh, B. & Bury, M. (2015). Monitoring and Management of QT/QTc Prolongation with Mental Health Medications. Lecture. Wisconsin Academy of Family Physicians – 45th Annual Winter Refresher Course. Pewaukee, WI. DeJongh, B. (2014). Antipsychotic Adverse Effects: Monitoring and Management. Lecture. 2014 Fall Distance Learning Experience Psychiatric Pharmacotherapies. Webcast. Dr. Fehrenbacher received both her B.S. and Pharm.D. degrees from the University of Wisconsin-Madison. Post-graduation, she completed her residency training with Aurora Health Care in Milwaukee, WI, where she practiced for several years as a clinical coordinator prior to joining the CUW SOP faculty. Her clinical practice is as an infectious diseases pharmacist at Aurora St. Luke's Medical Center where she precepts students and residents. She is also a member of the Aurora Antimicrobial Stewardship team. 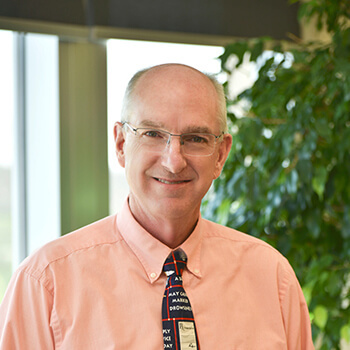 Dr. Fehrenbacher is an active member of many professional organizations, including the Society of Infectious Diseases Pharmacists, American College of Clinical Pharmacy Infectious Diseases Practice Research Network, and the Pharmacy Society of Wisconsin. Rice, L., Srinivasan, D., Jen, P., Chahine, E., Barr, V. & , ., (2017). Antimicrobial Stewardship in the Emergency Department (May/June 2017). (pp. May/June 2017). Madison, WI: The Journal of the Pharmacy Society of Wisconsin. Hermsen, E., Fehrenbacher, L. & , ., (2016). Antimicrobial Stewardship and Applications of Pharmacodynamics. Yes. Springer Press. Dr. LaDisa received her Pharm.D. (2001) from Drake University in Des Moines, IA. After graduation, she completed a PGY-1 Pharmacy Practice Residency at Barnes-Jewish Hospital in St. Louis, MO (2002). Since completing her residency, she has practiced as an inpatient clinical pharmacist and inpatient pharmacy clinical coordinator at Aurora Sinai Medical Center in Milwaukee, WI. In 2012, she joined the faculty at CUWSOP in the Department Pharmacy Practice. Dr. LaDisa practices as an inpatient clinical pharmacist in an acute care GI/GU surgical unit at Aurora St. Luke’s Medical Center in Milwaukee, WI. This practice involves multidisciplinary collaboration to provide evidence-based, patient-centered recommendations to optimize drug therapy related to pain, nutrition, infectious disease, and transitions of care. At St. Luke’s Medical Center, she also serves as a preceptor for pharmacy IPPE and APPE students, as well as PGY-1 residents. LaDisa, A. & Biesboer, A. (2017). Incorporation of practice testing to improve knowledge acquisition in a pharmacotherapy course 9 (4, pp. 4). Currents in Pharmacy Teaching and Learning. LaDisa, A. & Traynor, A. (2014). PGY1 Pharmacy Residency Directors’ Perceptions of Minimal Baseline Expectations for Residents. N/A. Alexandria, Virginia: American Association of Colleges of Pharmacy. LaDisa, A. & Ray, S. (2018). Impact of an Elective Applied Improvisation Course on Student Pharmacists’ Patient Communication Skills. Poster. ACCP Global Conference 2018. Seattle, WA. Radish, A., Smith, C., Parks, A. & LaDisa, A., (2016). Evaluation of the Centralized Production of Intracameral Moxifloxacin for Cataract Surgery and its Impact on Cost Reduction. Poster. ASHP Midyear Clinical Meeting & Exhibition. Las Vegas, NV. LaDisa, A. (2016). Improvisational Exercises to Improve Pharmacist and Pharmacy Student Communication Skills. Other. Department of Pharmacy Practice Seminar/Workshop. Mequon, WI. Ray, S., LaDisa, A., Lokken, J. & Grunske, M., (2015). Preceptor Development: Effective Assessment of Learner Performance. Oral Presentation. Greater Milwaukee College of Clinical Pharmacy Educational Meeting. Milwaukee, WI. Tracy joined Concordia University Wisconsin’s School of Pharmacy as a coordinator of the Advanced Pharmaceutical Preparation course in November 2011. She received her PharmD from the University of Wisconsin in 2005. After graduation she completed a two-year residency at Aurora Health Care in Milwaukee, WI. The focus of the residency was on general inpatient pharmacy practice and management. 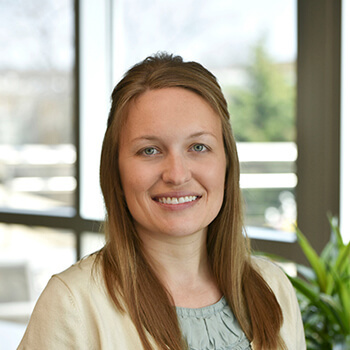 After her residency, she practiced within Aurora Health Care as a clinical pharmacist, an information technology (EPIC certified) pharmacist and an inpatient pharmacy manager until her transition to CUW. Tracy’s practice experience has been in hospital pharmacy with a focus on inpatient administration and medication safety. She currently practices pharmacy at Aurora St. Luke’s Medical Center in Milwaukee. Her research interests focus on educational based scholarship, safe and accurate sterile preparation compounding and products, as well as medication safety. Kosinski, T., Taylor, R. & Sanders, C., (2014). Wisconsin hospitals sterile compounding operations survey. 2014 (Nov/Dec, pp. Nov/Dec). Madison, WI: The Journal. Meidl, T., Woller, T., Brierton, D. & Iglar, A., (2008). Implementation of pharmacy services in a telemedicine intensive care unit 65 (15, pp. 15). American Journal of Health-Systems Pharmacists. Dr. Kostrzewa is a pharmacist specializing in Drug Information, with interests in medication safety and public health. She teaches Medical Literature Evaluation and Medication Use in Public and Population Health. James Lokken Pharm.D., M.S., M.Ed. Dr. Lokken teaches social determinants of health and the intersection of pharmacy and underserved patient populations. He also teaches and performs research on population health management. 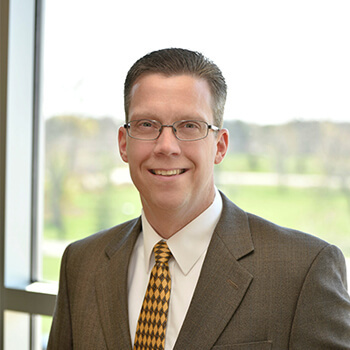 Dr. Lorenzen is the School of Pharmacy's rural practitioner, located in Marshfield, Wisconsin. She practices at a primary care clinic in Wausau, WI treating patients with uncontrolled diabetes and other complicated disease states. She is actively involved in teaching for the the applied patient care series, pharmacy and the underserved elective, and the pharmacotherapy series. She sits on the leadership board for the free medical clinic in Marshfield, WI and has a passion for helping the rural and underserved populations. Dr. Lorenzen also coordinates the undergraduate offering of Introduction to Pharmacy - an online course. Dr. 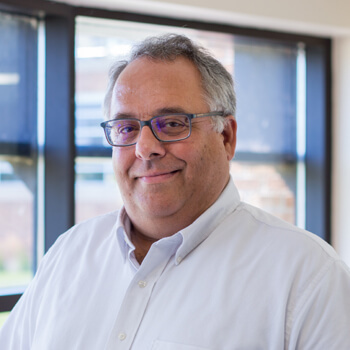 Masse teaches in the School of Pharmacy and the Batterman School of Business including courses in Pharmaceutical Manufacturing, Business Statistics and Sustainability & Social Entrepreneurship. 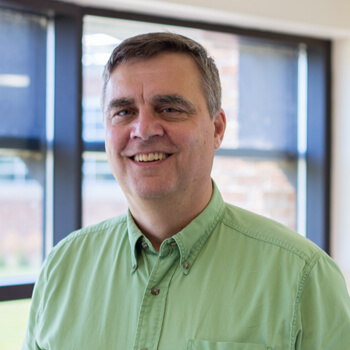 Joseph McGraw teaches pharmacokinetics, mass spectrometry, and pharmacology within the School of Pharmacy. 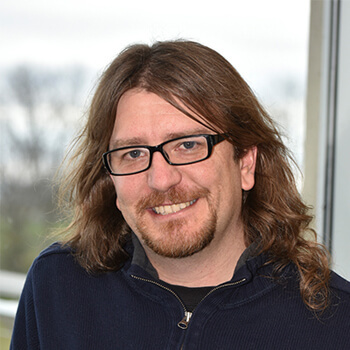 His research identifies variant phenotypes responsible for aberrant responses to drugs and environmental exposures. McGraw, J. (2018). Opportunities and obstacles in genotypic prediction of cytochrome P450 phenotypes Mequon: Expert Opinion on Drug Metabolism & Toxicology . McGraw, J. (2018). Advancing a Clinical Test to Optimize Drug Dose/Selection. Poster. XULA-COP 11th Health Disparities Conference. New Orleans, LA. McGraw, J. (2018). DEVELOPMENT OF A HEALTH DISPARITIES ORIENTED METABOLIC PHENOTYPING TOOL. Oral Presentation. XULA-COP 11th Health Disparities Conference, which convened April 19 – 20, 2018 . Saint Louis, LA. 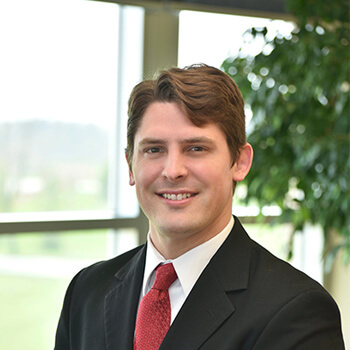 Robert Mueller, Pharm.D., BCPS is an Assistant Professor of Pharmacy Practice. 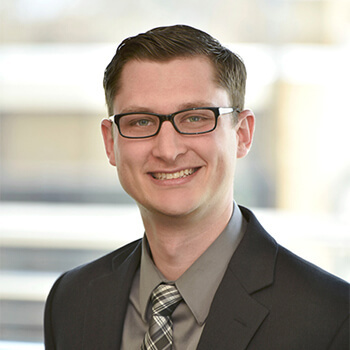 Dr. Mueller is a Doctor of Pharmacy graduate of the University of Minnesota and completed a PGY1 Pharmacy Practice Residency at Froedtert Hospital in Milwaukee, WI. 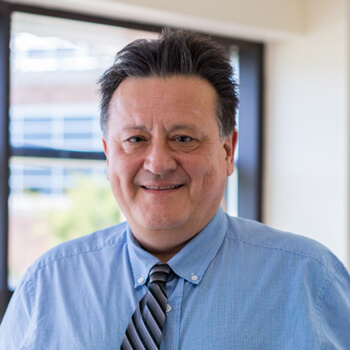 His teaching and research interests include Spanish for pharmacy professionals, experiential education, preceptor development, and internal medicine related topics. Mueller, R., Sias, J. & James, S., (2018). Spanish Conversation Guide Using the Pharmacists' Patient Care Process Washington, D.C.: American Pharmacists Association . Mueller, R. (2017). Precepting Millennials - Strategies and Tips for Teaching the Nintendo Generation 20 (4, pp. 4). Madison, WI: The Journal. Mueller, R. (2017). Development and evaluation of an intermediate-level elective course on medical Spanish for pharmacy students 9 (2, pp. 2). Currents in Pharmacy Teaching and Learning . Mueller, R. & Lor, K. (2017). Viva Farmacia! Basic Spanish Primer for Pharmacists . Oral Presentation. PSW Annual Meeting. LaCross, WI. Mueller, R. (2017). Two is better than one - precepting multiple learners . Oral Presentation. Preceptor Development Seminar. Minneapolis and Duluth, MN. Mueller, R. (2017). Publishing your residency project . Oral Presentation. Resident Research Symposium. Froedtert Hospital. Mueller, R., Ray, S., Ticcioni, A. & Suss, A., (2017). Description and evaluation of an event to promote careers in clinical pharmacy.. Poster. AACP Annual Meeting. Nashville, Tennessee. A UW-System and Princeton-trained medical anthropologist, raised in Wisconsin, who has both worked in and studied the pharmaceutical industry over the last several decades. Lived in Canada during fieldwork, where a research and advocacy interest in mental health and vulnerable populations developed. Currently, using background to build IPE programming and looking for more engagement and connection with health and environmental issues in the future. Peppard, S., Parks, A. & Zimmerman, J., Characterization of alteplase use for pulmonary embolism during cardiac arrest. American Journal of Health-System Pharmacy. LaDisa, A., Parks, A. & Grzendzielewski, C., (2015). Flipped Topic Discussions for Acute Care Pharmacy Practice Experiences. Poster. Pharmacy Society of Wisconsin Education Conference. Madison, WI. 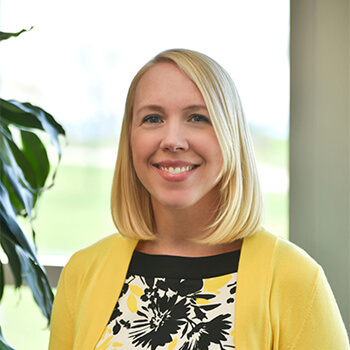 Sarah Peppard is responsible for helping to design, coordinate, implement and evaluate all introductory and advanced pharmacy practice experiences at CUW SOP. In addition to experiential education, her teaching and practice passion is critical care. She maintains a practice in the Medical Intensive Care Unit at Froedtert and the Medical College of Wisconsin. Theesfeld, M. & Peppard, S. (2016). Great Expectations: Making Sure You and Your Learner are on the Same Page 19 (3, pp. 3). Madison, WI: Journal of the Pharmacy Society of Wisconsin. Peppard, S. & Theesfeld, M. (2013). Ask not what you can do for your students; ask what your students can do for you: Strategies for incorporating multiple levels of learners 16 (6, pp. 6). Madison, WI: The Journal. Theesfeld, M., Peppard, S. & Yang, N., (2018). Student Perceptions Toward Longitudinal Advanced Pharmacy Practice Experiences. Poster. PSW Educational Conference. Madison, WI. Theesfeld, M., Peppard, S. & Yang, N., (2017). An Evaluation of Interprofessional Practice during Advanced Pharmacy Practice Experiences. Poster. Pharmacy Society of Wisconsin Educational Conference. Madison, WI. Peppard, S. & Theesfeld, M. (2015). Student Perceptions of Quality Advanced Pharmacy Practice Experience Characteristics. Poster. ASHP National Pharmacy Preceptors Conference. Washington, DC. Peppard, S. & Theesfeld, M. (2015). Comparison of Rubric-Derived and Preceptor-Perceived Grades for APPE Rotations. Poster. AACP Annual Meeting. Washington, DC. 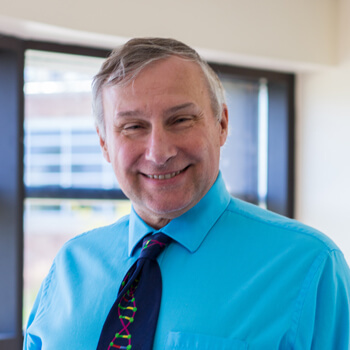 Dr. Pickart joined CUW in 2012 with the aim of providing quality molecular biology and genetics instruction while advancing basic and translational knowledge of the genetic variation underlying individual differences in disease and treatment response. Ray, S. & Pickart, M. (2015). Integration of Pharmacogenomics at Concordia University Wisconsin School of Pharmacy. 18 (3, pp. 3). Madison, WI: Journal of the Pharmacy Society of Wisconsin. 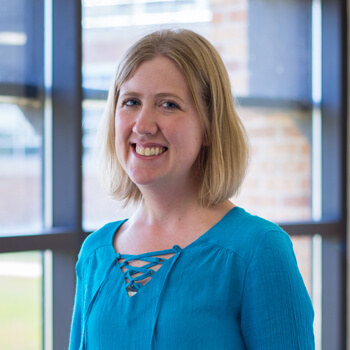 Sarah Ray coordinates a semester-long course in the Applied Patient Care lab series and teaches in a pharmacogenomics elective and ambulatory care practice elective. She also practices as a clinical pharmacist at Milwaukee Health Services, a Federally Qualified Health Center in Milwaukee. She is director of a Post Graduate Year 1 (PGY1) community-based pharmacy residency program sponsored by CUWSOP. She co-precepts a PGY1 pharmacy practice resident at the clinic site. 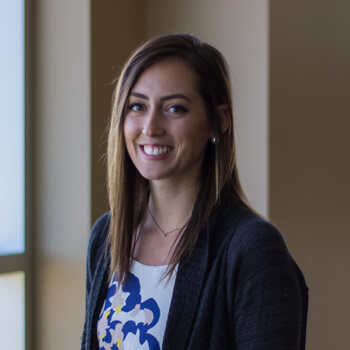 She also co-precepts an ambulatory care Advanced Pharmacy Practice Experience (APPE) rotation at the clinic as well as an academic APPE at CUWSOP. 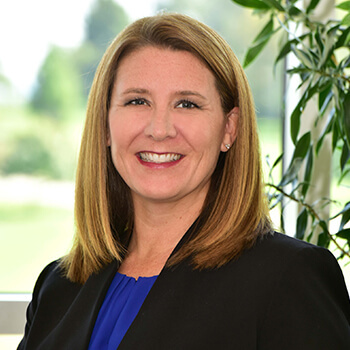 Sarah is active within pharmacy professional organizations, and is currently president of the American Pharmacists Association Academy of Pharmacy Practice and Management. Ray, S. & Valdovinos, K. (2016). Assessment of students' ability to incorporate a computer into increasingly complex simulated patient encounters 9 (1, pp. 1). Currents in Pharmacy Teaching and Learning. O'Dowd, S., Ray, S. & (2018). Creation of a pharmacist led diabetes support group in an urban, underserved population . Poster. ASHP Midyear Clinical Meeting. Anaheim, California. Ball, C., Napolitano, F., Ray, S. & (2018). Implementation and Analysis of a Comprehensive Medication Review Protocol and Collaborative Practice Agreement in a Federally Qualified Health Center . Poster. ASHP Midyear Clinical Meeting. Anaheim, California. Ray, S. (2018). Joint Residency Program Options. Oral Presentation. Rural Wisconsin Health Cooperative Pharmacy Leader Roundtable. Sauk City, WI. Ray, S. (2018). Ambulatory Care Networking Session. Oral Presentation. PSW ACAB . Mequon, WI. Professor Rinka teaches cardiology in the classroom and in experiential education. He practices at an academic medical center as part of an advanced heart failure team. His research focuses on multiple cardiovascular diseases. 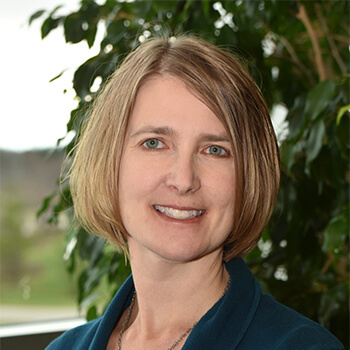 Dr. Nancy Stoehr earned her PharmD from the University of Wisconsin Madison School of Pharmacy in 2006 and is currently enrolled in the Master of Education – Teaching and Learning program at Concordia University Wisconsin. 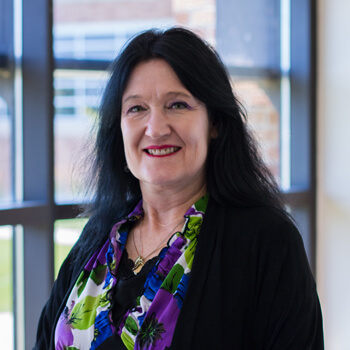 Nancy has been carrying out her vocation as an Assistant Professor at Concordia University Wisconsin School of Pharmacy since 2012 where her teaching focus is pharmaceutical dosage forms and extemporaneous pharmaceutical compounding for the community patient. She is a Fellow of the American College of Apothecaries (ACA) and a Fellow of the International Academy of Compounding Pharmacists (IACP). Nancy also serves as an Educational Consultant and Midwest Region Director for the American College of Apothecaries. In collaboration with ACA and Concordia University Wisconsin School of Pharmacy, she offers a variety of ACPE accredited compounding training workshops in the pharmacy schools state of the art compounding facilities. Please see the the following www.acainfo.org/compounding for training courses offered at all locations. Also, the following specific courses are offered on the CUW campus: www.acainfo.org/fundamental and www.acainfo.org/veterinary. 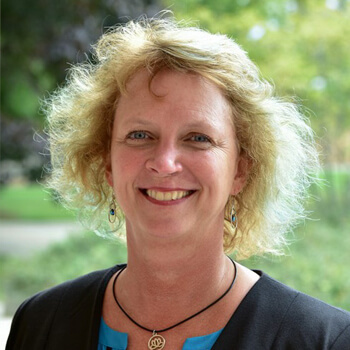 Nancy is also dedicated to Christian Pharmacists Fellowship International at both a national level as part of the education committee and at a university level as the faculty adviser for Concordia’s CPFI student chapter. Her research focuses on stability and quality of compounded dosage forms and formulation development as well as scholarship of teaching and learning within the non-sterile compounding laboratory. Nancy has a background in sterile compounding as a home infusion pharmacist and as a hospital pharmacist. She enjoys incorporating faith, practice, and research into her education of technicians, pharmacists and future pharmacists. Biesboer, A. & Stoehr, N. (2016). A Product Review of Alternative Oil-Based Intravenous Fat Emulsions Nutrition in Clinical Practice. Stoehr, N. (2018). Veterinary Regulatory and Marketing Considerations. Oral Presentation. Veterinary Compounding Essentials. Mequon, WI. Stoehr, N. (2018). Animal Disease States and Dosage Forms. Oral Presentation. Veterinary Compounding Essentials. Mequon, WI. Stoehr, N. (2018). Tablet Splitting Percent Error Comparison Study. Poster. Pharmacy Society of Wisconsin educational meeting. Madison, WI. Stoehr, N. (2018). Variance in Packing Statistics of Hand Packed Capsules. Poster. Pharmacy Society of Wisconsin educational meeting. Madison, WI. Stoehr, N. (2018). Niche Markets in Compounding. Oral Presentation. Fundamental Compounding and Calculations. Mequon, WI. 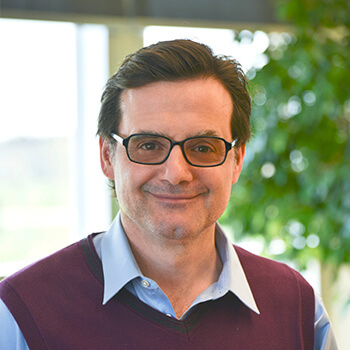 Dr. Stremski is a Pediatric Emergency Medicine Physician who teaches Pathophysiology and Pharmacology in the CUW Pharmacy, Physician Assistant, and Nurse Practitioner programs. Stremski, E. (2017). Pharmacology and Pharmacotherapy for Physician Assistant Student. Poster. Faculty Poster Session. CUW. 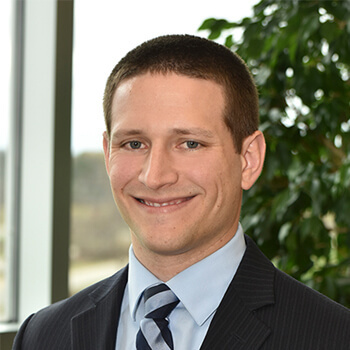 Dr. Suss received his Doctor of Pharmacy degree from the University of Wisconsin-Madison in 2012 and completed his PGY-1 residency at the Clement J. Zablocki VA Medical Center in Milwaukee. He is a Board Certified Geriatrioc Pharmacist and practiced as a clinical pharmacist for three years at the Milwaukee VA prior to joining the CUWSOP faculty in August 2015. Suss, T. & Welch, L. (2018). Deprescribing: Lessening Medication Burden to Improve Care. Oral Presentation. Advanced Medication Management in the Elderly Conference. Waukesha, WI. Toppe, M. & Suss, T. (2017). The Impact of Interprofessional Collaboration on Approaches to Geriatric Care. Poster. Collaborating Across Borders (CAB VI). Banff, Calgary, Canada. 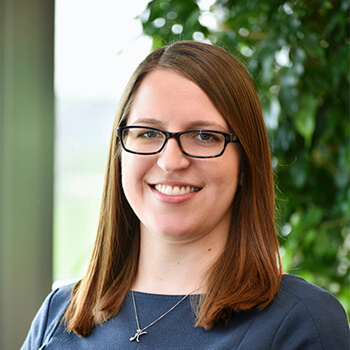 Melissa Theesfeld is responsible for the design, coordination, implementation, and evaluation of all introductory and advanced pharmacy practice experiences at CUW SOP. 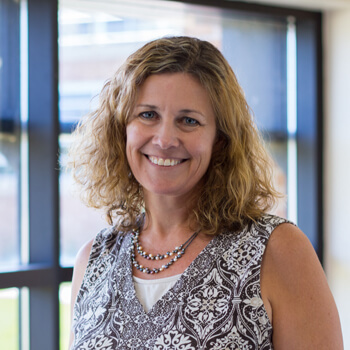 Her teaching and research interests include experiential education and the professional development of students. She serves as a faculty advisor to students, a faculty mentor to pharmacy residents, and as the faculty liaison and Board of Directors member to the Pharmacy Society of Wisconsin. Theesfeld, M. & Traynor, A. (2013). Curriculum Vitae Preparation. Roadmap to Postgraudate Training in Pharmacy. New York, NY: McGraw-Hill Medical. Theesfeld, M. (2018). An Introduction to Precepting for Columbia St. Mary's Hospital - Ozaukee Campus. Lecture. CSMO Preceptor Development Series. CUW SOP. Theesfeld, M. (2017). Effective Precepting. Lecture. Walgreens District Manager Meeting. Milwaukee, WI. Traynor, A., Borgelt, L., Rodriguez, T., Ross, L. & Schwinghammer, T., (2018). Use of a Modified Delphi Process to Define the Leadership Characteristics Expected of Pharmacy Faculty Members Arlington, VA: American Journal of Pharmaceutical Education. Johnson, C. & Traynor, A. (2018). Identifying Student Learning Competencies for Urban Underserved Practice Using a Delphi Process. N/A. 10 (6, pp. 6). Chicago, IL: Currents in Pharmacy Teaching and Learning. 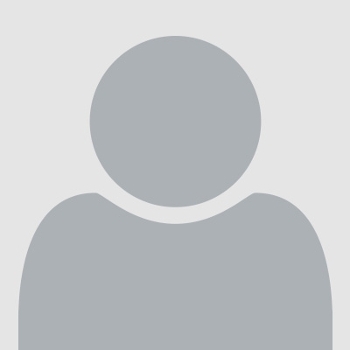 Bzowyckyj, A., Mospan, C., Zavod, R., Traynor, A. & Janke, K., (2018). Inviting manuscripts to Leadership Experience and Development Reports (LEADeR). N/A. Chicago, IL: Currents in Pharmacy Teaching and Learning. Janke, K., Bzowyckyj, A. & Traynor, A., (2017). Editors’ Perspectives on Enhancing Manuscript Quality and Editorial Decisions Through Peer Review and Reviewer Development 81 (4, pp. 4). Arlington, VA: American Journal of Pharmaceutical Education. Traynor, A., Borgelt, L., Rodriguez, T., Ross, L. & Schwinghammer, T., (2017). Identifying Leadership Expectations for All Pharmacy Faculty Members. N/A. Alexandria, Virginia: American Association of Colleges of Pharmacy. Welty, T., Traynor, A., Isetts, B. & Sorensen, T., (2018). The Academy’s Scholarly Responsibilities in an Era of Value-Based Practice Transformation. Oral Presentation. American Association of Colleges of Pharmacy Annual Meeting. Boston, MA. Traynor, A. (2018). Utilizing a Strengths-Based Approach in Personalized Instruction. Oral Presentation. American Association of Colleges of Pharmacy Teachers Seminar. Boston, MA. Traynor, A., Sorensen, T. & Butler, K., (2018). Empowering Frontline Ambulatory Care Pharmacist Leadership to Advance Practice. Oral Presentation. American Society of Health-System Pharmacists Annual Meeting. Denver, CO.
Traynor, A. (2018). CMMA – A School of Pharmacy Convened Initiative to Change Practice in Wisconsin. Oral Presentation. University of Minnesota Department of Pharmaceutical Care and Health-Systems Department Seminar. Minneapolis, MN. Traynor, A. (2017). Navigating Peer Review. Lecture. Milwaukee Citywide Conference. Milwaukee, WI. 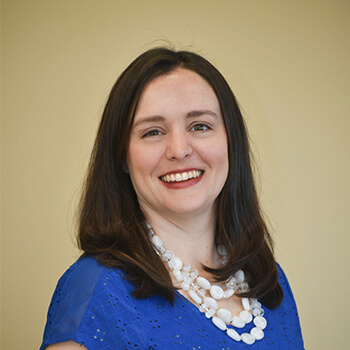 Laura Traynor is an associate professor of pharmacy practice at Concordia and an ambulatory pharmacist at Ascension Columbia St. Mary's Germantown Clinic and Cardiopulmonary Rehab program. She teaches Pharmacotherapy I: Self-Care, Pulmonary Pharmacothearpy, and Ambulatory Care Practice. 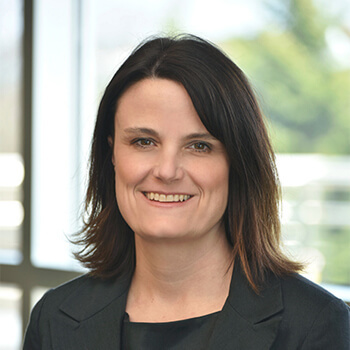 She is the immediate past chair of the ASHP Section of Ambulatory Care Practitioners Executive Committee and a member of the Wisconsin Asthma Coalition Executive Committee. Scott, M., Butler, K., Epplen, K., Traynor, L., Shilliday, B. & Skelley, J., (2017). Rationale for postgraduate year 2 residencies in ambulatory care 74 (18, pp. 18). Bethesda, MD: American Journal of Health System Pharmacy. Traynor, L. & Beyer, K. (2014). Pharmacist Involvement in Cardiac Rehabilitation Programs in Wisconsin: A Case Series 17 (5, pp. 5). Madison, WI: The Journal of The Pharmacy Society of Wisconsin. Siegenthaler, E. & Traynor, L. (2014). Chronic Obstructive Pulmonary Disease (COPD) Pocketbook Toolkit 1 (1, pp. 1). Madison, WI: Pharmacy Society of Wisconsin. Traynor, L. (2014). Designing Collaborative Practice Agreements: Furthering Team Based Care. Oral Presentation. PSW Milwaukee Event 2014. Mequon, WI. Dr. Valentine Brouner teaches Social and Behavioral Pharmacy and Patient Care Ethics. In collaboration with PSW, she is the Principle Investigator for the Wisconsin Tech-Check-Tech Pilot Study. Scott G. Van Ornum Ph.D.
Dr. Scott Van Ornum teaches Organic Chemistry I and II, Instrumental Analysis and Advanced Organic Chemistry. He is the Director of Concordia’s Master of Science in Pharmaceutical and Chemical Development program where he teaches courses related to process chemistry. His research interests include the synthesis of polyquinanes via the Pauson-Khand reaction and synthesis of neuromuscular blocking compounds. Ray, S. & Cooper, L. (2015). Collaborative Practice Agreement in Action: Milwaukee Health Services. Oral Presentation. National Association of Boards of Pharmacy/American Association of Colleges of Pharmacy District IV Meeting. Milwaukee, WI. Wulz, J. & Napolitano, F. (2019). Pain Management and the Opioid Crisis 24 (1, pp. 1). Pharmacy Tech Topics. Wulz, J. (2018). Treating Opioid-Use Disorder -- X:BOT Offers a Pragmatic Approach iForumRx. Jennifer, S., Stoehr, N., Zavala, P. & (2017). Evaluation of Pharmacy Students’ Compounding Skills Using Two Caffeine Capsule Filling Methods. Poster. PSW Educational Conference 2017. Madison, WI. Dr. Zupec received his BS in Biomedical Sciences from Marquette University and his PharmD from the University of Illinois at Chicago. 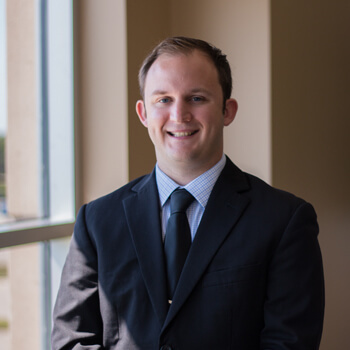 He completed a PGY1 pharmacy practice residency at Aurora St. Luke's Medical Center and a PGY2 residency in internal medicine at the Zablocki VA Medical Center in Milwaukee, WI. 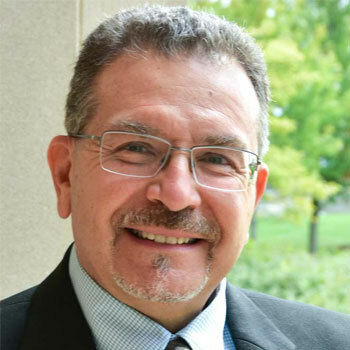 He has been a faculty member at Concordia University Wisconsin School of Pharmacy since 2015. Dr. Zupec practices on an acute care/internal medicine unit at Aurora St. Luke's Medical Center. 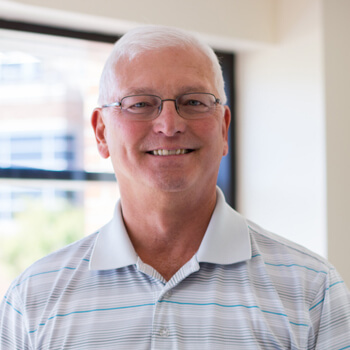 At CUWSOP, he coordinates a course in the Applied Patient Care skills lab series which teaches students clinical skills such as obtaining medication histories, educating patients, communicating with providers, and clinical documentation. Dr. Zupec also teaches pharmacotherapy content in the areas of rheumatology/inflammatory disorders as well as anticoagulation. 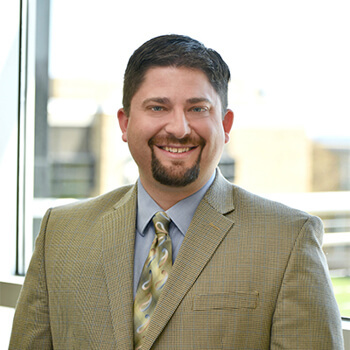 Dr. Zupec currently serves as the Chair of the Admissions Committee and is the Treasurer of the Greater Milwaukee College of Clinical Pharmacy. Zupec, N. (2018). Updates in the Treatment of Psoriatic Arthritis. No. 21 (3, pp. 3). Madison, WI: The Journal of the Pharmacy Society of Wisconsin. Zupec, N. (2018). Rheumatology and inflammatory disorders: A focus on biologics and biosimilars. Oral Presentation. Pharmacy Society of Wisconsin Annual Meeting. Wisconsin Dells, WI. Zupec, N. (2017). Considerations for weight when we anticoagulate. Oral Presentation. GMCCP Spring Education Event. Blue's Egg, Milwaukee, WI.